Made in Via Brioschi, Milan, from 1939 to 1941 by Alberico Seiling (who previously worked with MAS engineering the Harlette), the Altea had a unit-construction 198cc four-stroke OHV engine and cantilevered rear suspension. Alberico Seiling, born in Bavaria, after selling MAS to Anthony Guidetti founded a new motorcycle called Seiling which was soon renamed Moto Altea, between 1938 and 1939. The production included a model with with rear swing arm and central spring under the seat, and another model with rigid frame. Seiling was Italy's general representative for Max Turkheimer, the Italian importer of Ariel. 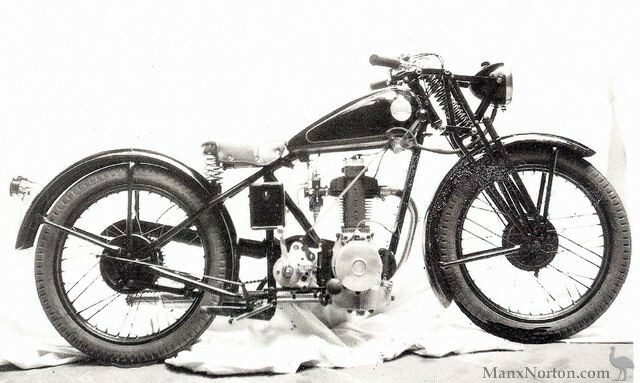 Motociclismo magazine, in its issue of January 5, 1939, published a very detailed article on the Altea which noted the availability of the rigid frame model but focused almost exclusively on the rear suspension model and all the images are of this model, undoubtedly more interesting to readers of the magazine at the time of publication. The motorcycle in question, with a displacement of 196cc, is still quite well preserved, and apart from the main stand (perhaps not original) is not too shabby, the motor turns freely and it has good spark. The Burman OJ gearbox is fitted with foot-change Velox, but originally the machine had a hand-operated transmission lever mounted on the tank. In 1941 Seiling designed and built an interesting engine; the Delta is a twin-cylinder 750 cc overhead valve unit for industrial use and for motorcycles with sidecars. The engine did not go into production, and the company ceased trading in 1941.